How do I change my payment methods? 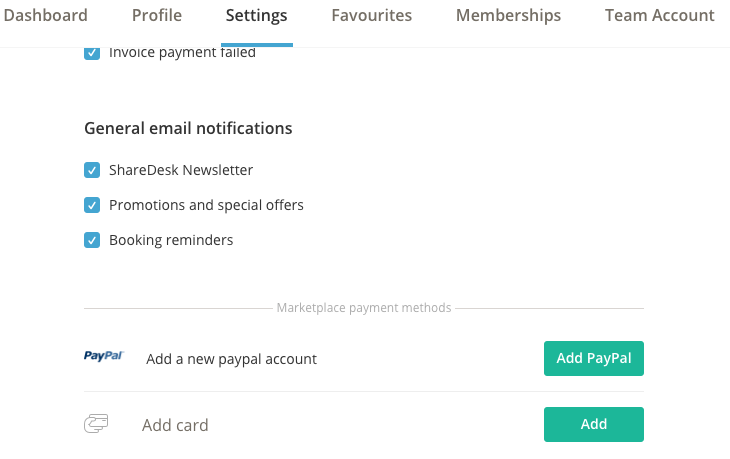 To change your payment method, bring up the left side menu and click the cog icon next to your name. Go to Payment on the User profile page. From here, you can add or delete credit cards and PayPal accounts.